The Fighting 1:18th is AT SDCC 2010! | The Fighting 1:18th! Home > Conventions > The Fighting 1:18th is AT SDCC 2010! We have arrived! Made it to San Diego in one piece and in good time! The Fighting 1:18th is AT SDCC 2010! 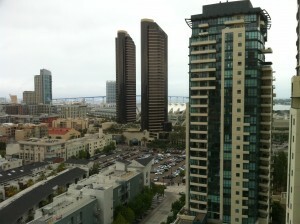 Made it to San Diego in one piece and in good time! We have to go pick up our passes soon, and head to Preview Night tonight to take a look at the Exhibition floor and see what’s going on. The G.I. Joe panel is tomorrow afternoon, as well as a few other things of note. I will be reporting back here on the front page each night with any relevant info.. and in our Live Blog thread on our Forums all day long! Next: SDCC 2010: Hasbro G.I. Joe Booth!